If you’ve got a Fairway, at some point you’re going to need to get behind the dash. This is most likely to fix some electrical problem! It’s a relatively easy process, however there are a couple of ‘gotchas’ which can hold you up along the way. 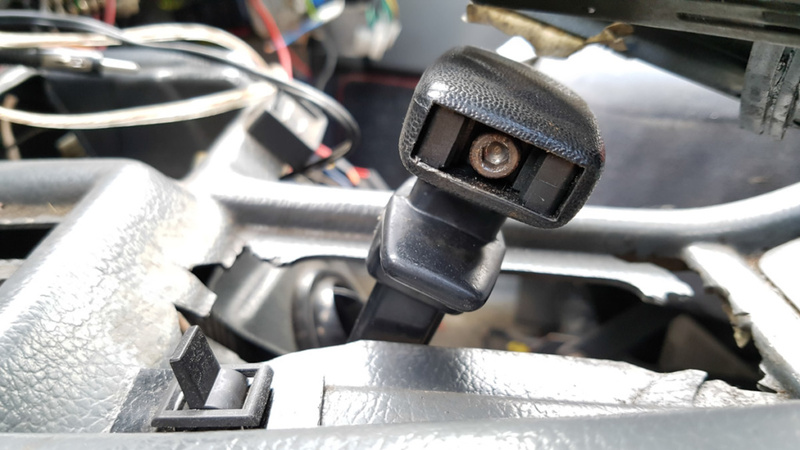 Firstly you’ll want to remove the steering wheel and indicator/wiper assembly from the steering column. The black covers are removed with a screwdriver, then it’s a 32mm nut for the steering wheel. Secondly, remove the black plastic which covers the instrument panel, followed by the instrument panel itself – this can be fairly tricky if you have a tight speedo cable. I would advise you to remove the two screws on either side of the instrument panel, then you should just be able to get your hand behind. Feel around, and you should find the speedo cable attachment to the rear of the panel – it will feel like a cylindrical piece of plastic with a thick cable going towards the gearbox. 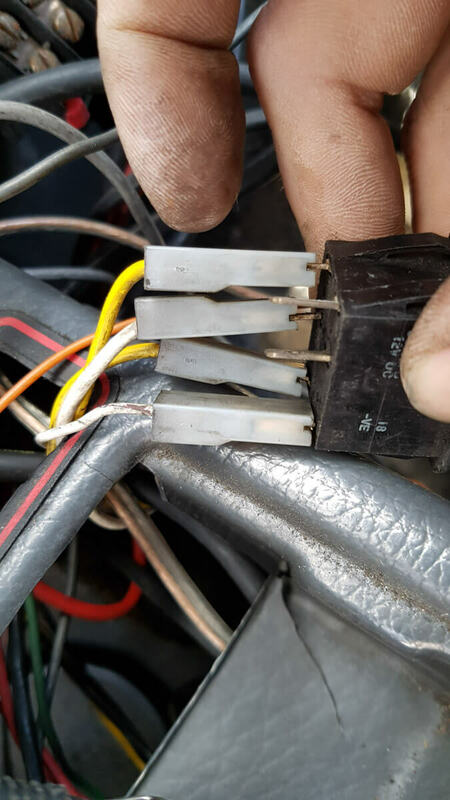 This connector can be very tough to remove – it is removed by finding the two indents in the plastic and squeezing it together to pop it off. It requires a fairly strong grip and some wiggling to set it free. 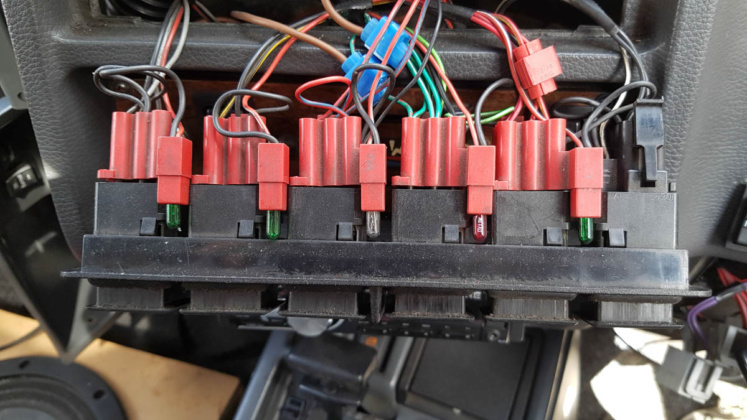 Once you’ve managed that, you should be able to unseat the panel completely and remove the two connector blocks (red & white) for the lighting etc. 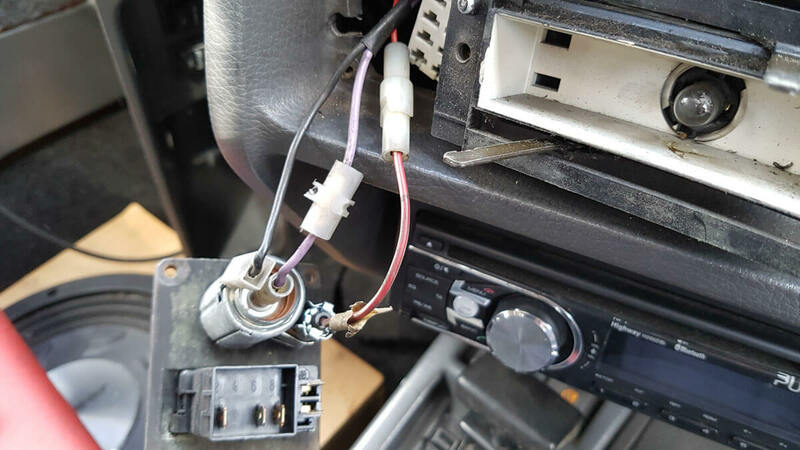 Remove any speakers, switch panels, radio head-units etc., again, usually with a screwdriver. The panel which has the hazard switch, interior lights etc. 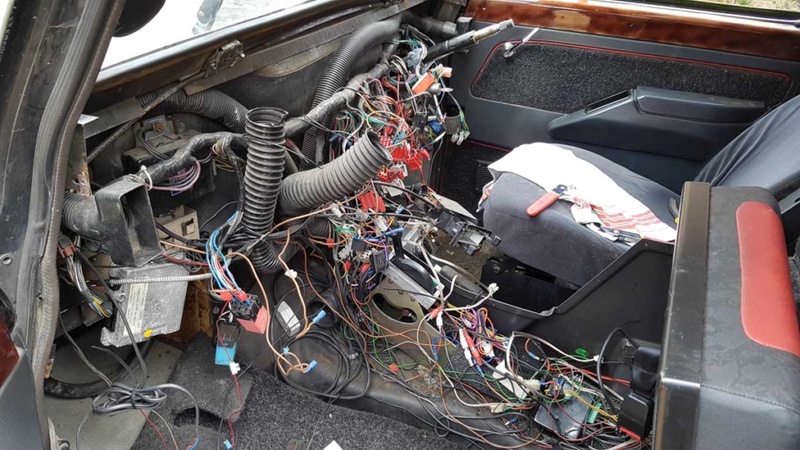 is undone with a screwdriver also, it’s a good idea to label each of the connections behind so you know what the wires are when the dash is off. 3-light cluster for fuel filter, glow plugs and overdrive. The heating/ventilation panel is a couple of screws, but you’ll need to remove the caps on the levers in order to pop the assembly free. The windscreen vents facias (if fitted) also need removing and the vent ducting should come free from the dash. 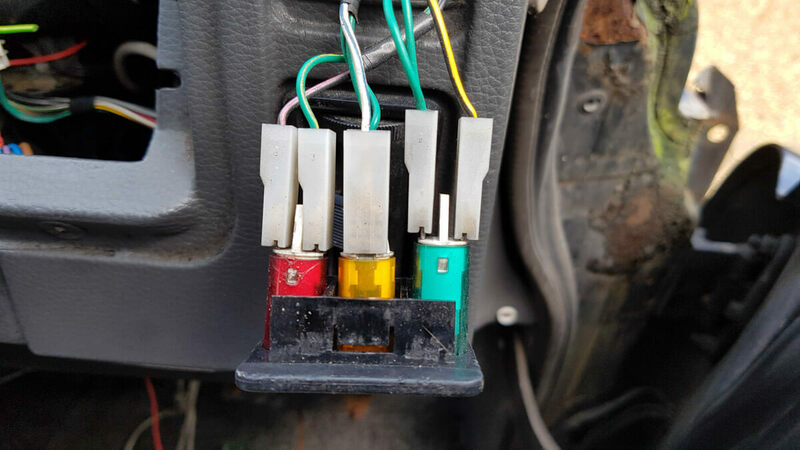 The biggest issue for me was the fusebox, which will be located to the right of the driver, below the dash (if it hasn’t been waterproofed and moved!). 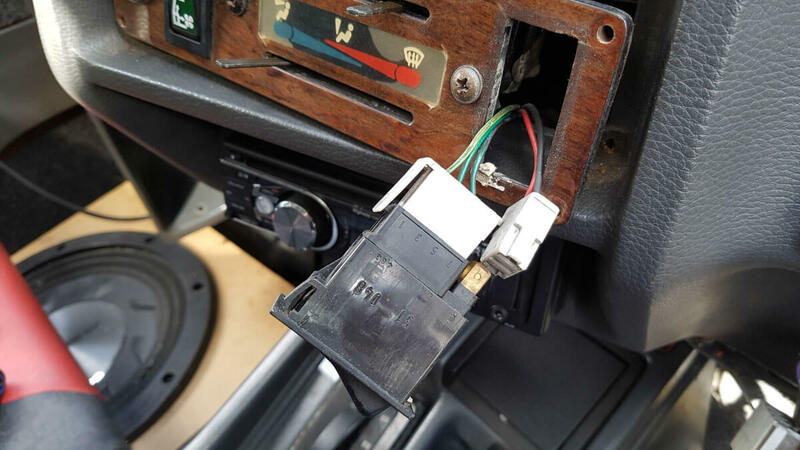 The screws which keep this attached to the dash were completely rusted, and I couldn’t remove the fusebox without drilling them out. This should be everything removed from the dashboard itself, you’ll now need to undo the screws and bolts holding it to the firewall. There should be a couple down each side, then a couple of bolts which also fixes the passenger door string. 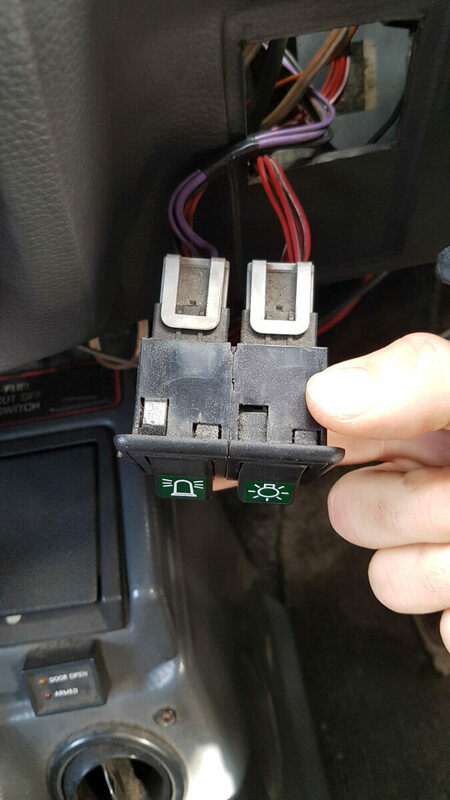 If you have any mounted switches they will also need to be removed. 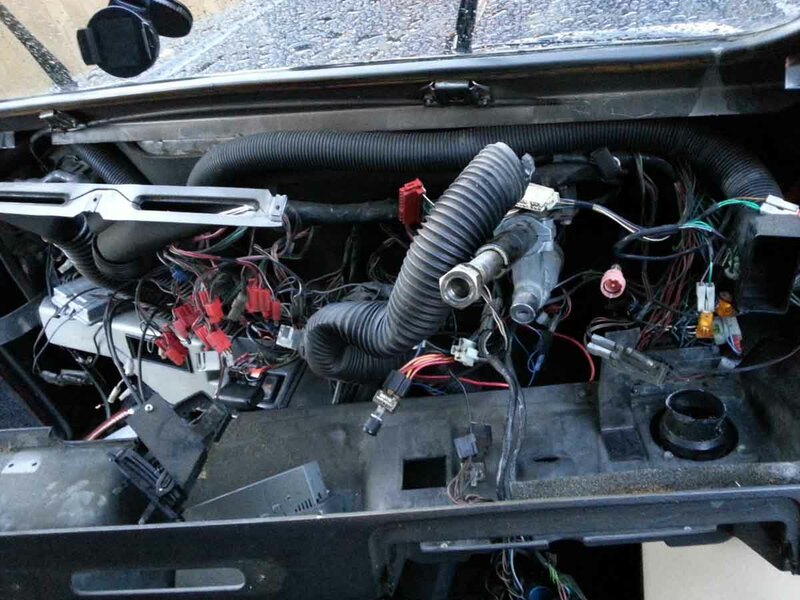 On mine, I had to remove switches for the windows, door locking, overdrive and the intercom. When you lift out the central piece of plastic, the two side boards can be removed as well.